This study examines the rise of the holiness movement in Georgia following the Civil War. 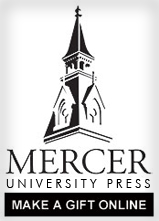 Employing a blend of social and intellectual historical methods, the study pays particular attention to the shifting cultural conditions occurring in the Georgia and the rest of the southeast around the turn of the century and shows how these changes influenced the movement. The history fo the origin, evolution, and demise of the Greenville Woman's College (1854-1961)-a small, underfunded, Baptist institution in upstate South Carolina traces its beginning from a Female Academy, through its organization by the South Carolina Baptist Convention, its struggle for survival and improvement during the years after the Civil War, to its rising aspirations and drive for accreditation in the 1920's. Adiel Sherwood (1791–1879) helped establish some of the first antebellum efforts in education, temperance, and mission outreach in Georgia, especially among Georgia Baptists. Sherwood was probably the most important spiritual influence in the founding of Mercer University, helping set the tone for creating a Baptist university committed to both inquiring faith and rigorous academics. One of the most important slogans of the Protestant Reformation was the Latin phrase Ecclesia semper reformanda--"the Church is always reforming." This theological principle, so central to the work of the Reformers, is the unifying theme of Craig D. Atwood's history of Christianity in the modern era. In "Amazing Grace," the best-loved of all hymns, John Newton's allusions to the drama of his life tell the story of a youth who was a virtual slave in Sierra Leone before ironically becoming a slave trader himself. Liverpool, his home port, was the center of the most colossal, lucrative, and inhumane slave trade the world has ever known. A gradual spiritual awakening transformed Newton into an ardent evangelist and anti-slavery activist. In "Amazing Grace," the best-loved of all hymns, John Newton's allusions to the drama of his life tell the story of a youth who was a virtual slave in Sierra Leone before ironically becoming a slave trader himself. Liverpool, his home port, was the center of the most colossal, lucrative, and inhumane slave trade the world has ever known. A gradual spiritual awakening transformed Newton into an ardent evangelist and anti-slavery activist. Influenced by Methodists George Whitefield and John Wesley, Newton became prominent among those favoring a Methodist-style revival in the Church of England. This movement stressed personal conversion, simple worship, emotional enthusiasm, and social justice. While pastoring a poor flock in Olney, he and poet William Cowper produced a hymnal containing such perennial favorites as "Glorious Things of Thee Are Spoken" and "God Moves in a Mysterious Way." Later, while serving a church in London, Newton raised British consciousness on the immorality of the slave trade. The account he gave to Parliament on the atrocities he had witnessed helped William Wilberforce obtain legislation to abolish the slave trade in England. Newton's life story convinced many who are "found" after being "lost" to sing Gospel hymns as they lobbied for civil rights legislation. His close involvement with both capitalism and evangelicalism, the main economic and religious forces of his era, provide a fascinating case study of the relationship of Christians to their social environment. In an afterword on Newtonian Christianity, Phipps explains Newton's critique of Karl Marx's thesis that religious ideals are always the effect of what produces the most profit. Phipps relies on accounts Newton gives in his ship journal, diary, letters, and sermons for this most readable scholarly narrative.